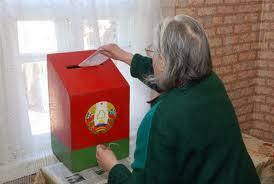 The September 2012 Parliamentary elections offer a chance for the opposition to reconnect with the wider Belarusian population rather than retain the current status quo. Even though some economic pressure on the regime has been lifted by the latest deals with the Russians, the population is increasingly looking for alternative sources of information and for different visions of how Belarus could develop. Against the background of the recent Russian protests, the upcoming election campaign is a major window of opportunity – if exploited to the full – for the opposition. Elections provide a time of heightened interest for the population in the political situation of the country, and are therefore the perfect time to re-build party structures comprising activists willing to carry out political activity today. In spite of this, the opposition remain divided about how they should approach this campaign. Alternative strategies include a boycott, an “active boycott” involving submitting candidates and withdrawing before election day, and running fully committed candidates through the entire electoral process. More radical opposition activists argue that it would be immoral to run given that political leaders and former presidential candidates remain in jail. Groups considering an “active boycott” have identified three main conditions to be addressed. These are the release and rehabilitation of all political prisoners detained following December 19 2010 events; amendment of the election law to include changes proposed by opposition; and full representation of opposition candidates onto the electoral commissions at all levels. While it is theoretically possible that these conditions could be met, they would all require significant political will from the side of the authorities, which is clearly missing at present. Arguing for strict implementation of these commitments before running is thus virtually synonymous with arguing for a boycott. A boycott of the election would simply remove the opportunity for legal campaigning that the election time presents. It would also take away a chance for the opposition to reach out on issues that the “political middle” in society cares about, such as the economy and health care. The boycott would condemn the opposition to continue to be sidelined from mainstream Belarus. For an opposition without widespread support in society, as is the case today in Belarus, such a strategy is therefore a privilege that they cannot afford. It is also very unlikely a boycott would have any major impact amongst the population – as pressure from the regime to vote will be high. With it proving impossible to build a united coalition of democratic forces around a boycott, it is unrealistic to expect the wider public to be convinced. No attempts have been made, even by its proponents, to quantify what would be a successful boycott. In this environment, even if a boycott could in theory be run successfully, the the opposition’s current lack of effective coordination, inability to communicate a consistent message, constant internal gamesmanship and distrust between them would mean any effort at a credible “boycott campaign” would almost certainly fail. The lack of clarity of strategy is already impeding the opposition's preparations for the elections – indeed it seems the preparation for partisan election observation is more advanced than for the campaign the observers should be safeguarding – an example perhaps of the perverse situation (and incentives) operating in Belarus now. The opposition will risk repeating one of the main mistakes of 2008 parliamentary elections – letting the campaign be dominated by whether and when they are going to boycott or pull out of the campaign. Worse – by proposing the condition of the release of the political prisoners – they are putting this decision in the hands of the authorities. This level of uncertainty as to whether pull out or not – which may not be clarified until the last minute – is likely to seriously undermine the opposition. Neither are candidates likely to take their campaign seriously, nor will the population take the candidates seriously as they are planning to withdraw. Indeed it is this uncertainty and division in the opposition about whether to take the election seriously that has so undermined the opposition in the past. Some observers see this as a successful implementation of a “divide and rule” strategy implemented by the authorities. In this regard, some politicians have warned the regime may seek to improve relations with the West through allowing a pseudo-opposition “KGB group” into Parliament, who would be handpicked by the security services based on their likelihood for collaboration. Opposition politicians should avoid being distracted by such red herrings – and the desire to protect their own status quo – and focus instead on becoming the most credible and popular candidates in their electoral district. The window offered by the recent decline in support for Lukashenka should be maximised to the full during the election period through prospective parliamentary candidates from the opposition seeking to run credible election campaigns. Developing credible candidates takes time. Efforts should be made already to build up election support teams, message development and efforts to increase name recognition and popularity with voters ahead of the elections. The focus should be on developing personalities in each constituency through direct dialogue with the voters on local issues that matter to them. To enhance their credibility in the eyes of voters, candidates should commit to run to the end of the electoral process. They should maximise opportunities to engage with the electorate, including using all public meeting opportunities and possibilities for canvassing, such as door to door. Above all, candidates should focus on clear coordinated messages of relevance that make the case for political change and include credible alternatives proposals, to the wider population. Parties and candidates should also attempt to work more closely with trade unions, which have been more active in recent time, albeit mostly on individual factory based issues. Transformations in the region over the last 15 years show clearly that election time has provided the prime focus for expressing discontent. In Belarus too, election nights have seen the largest protests in the last 10 years. Against the backdrop of the post-parliamentary election protests in Russia, there may also be a window of opportunity for similar events in Belarus – if the opposition was able to campaign solidly, including a message of “vote and defend your vote”. However, the population will only take such events seriously if the opposition takes the whole campaign seriously – which it did in 2004 (Parliamentary Elections), 2006 and 2010 (Presidential) but did not in the 2008 Parliamentary elections. Protesters are liable to pay a high price for participation including possible loss of employment or detention. Therefore, the opposition must ensure people are sufficiently motivated to demand change through a campaign focused on issues that matter to them, rather than on any idea of revolution. If people are won over in what they see as a serious campaign they will naturally seek to defend their vote. If not, as seems likely, they will simply avoid any risk and stay at home. Indeed, the prevailing view in both the opposition and wider society is that the Parliament is a toothless institution not worth fighting for. In spite of this, the parliamentary elections provide a rare opportunity to turn the silent majority into active seekers of change. Failure to use it will set the opposition on track for three years of stagnation and eliminate any chance of election related change until the Presidential elections due in 2015. 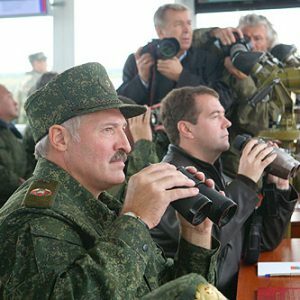 Last week, President Lukashenka approved an agreement with Russia to establish the Single Regional System of Air Defence. The defence ministers of the two nations already signed the controversial treaty three years ago. Russian and Belarusian presidents will jointly appoint the commander of the air defence system. This effectively means that a portion of the Belarusian armed forces will be brought under Russian command. Earlier this month, Lukashenka asked Russia to help finance the Belarusian army. The statement provoked controversy, prompting Defence Minister Yury Zhadobin to explain that the words of his commander-in-chief were intended as an invitation to increase bilateral cooperation. The German magazine Spiegel commented that Belarus is "losing its autonomy step by step.” In reality, Belarus does not need to maintain such a large, well-armed military in the first place – the only reason it does so is to serve Moscow. Referring to the recent unrest in North Africa, Syria, and Iran, Defence Minister Zhadobin declared on Tuesday that "external factors are drawing our attention to the military dimensions of state security." Zhadobin may have implied that Belarus should be vigilant because its neighbours were willing to teach it "how to live." But hardly anyone in the Belarusian army could imagine a war against NATO. Perhaps Zhadobin was referring to the external threats faced by another state – Russia? Military analyst Alyaksandr Alesin and other experts believe that Belarus itself does not need such a formidable military in the first place. Yet as Russia's staunch ally, Belarus needs its armed forces to qualify as a valuable asset to Russia's national defence. Indeed, only 300 km separate the Belarusian border from the Kremlin. National defence is a trump card for the Belarusian government in its negotiations with Russia. However, as with many other assets of the Belarusian regime, the real value of this trump card is hard to measure. Officially, Belarus still has a lot of military equipment but lacks the funding to modernise it. According to former Defence Minister Paval Kazlouski, only four or five of the 30 fighter planes in each of Belarus's air force regiments were actually combat-ready in 2010. Since the summer of 2009, the Belarusian armed forces have lost seven pilots and four fighter jets and helicopters. Radio Liberty quoted a Belarusian air force pilot as saying: “We still use Soviet machines that are twenty to thirty – and in some cases even forty – years old. The government has no money to renovate military equipment, so we intimidate [enemies] with what we have”. There are also questions concerning the human resources of the Belarusian military. In the 2000s, then Defence Minister Malcau began implementing a new system of brigades in the army that he had studied in Germany. This finally brought Belarus on par with the level of brigade organisation common throughout Europe. Russia had undertaken this reform years earlier. The salaries of Belarusian soldiers remain discouragingly low. Presently, a lieutenant receives about BYR 2-2.5 million (up to US$ 280) per month – six to seven times less than his counterpart in the Russian army. Regime insiders also acknowledge that it is impossible to have a successful career by rising up the ranks in the army, since high official positions are reserved for people from state security agencies (mostly KGB) or the Presidential Security Service. Indeed, those who have served as a bodyguard to Lukashenka are almost guaranteed a rank of colonel or higher. As a result, the most coveted places in the Military Academy are for the training of internal security troops – there are twice as many applicants as for the air force faculty. That seems remarkable given that internal troops are used to guard prisons, patrol the streets, and carry out policing. But these internal troops are treated better than the army because they are more vital to the regime. Many specialists go east to serve as contractors in the Russian army. That makes the task of maintaining Belarusian armed forces in good shape even more difficult. Hence it is no wonder that, as Putin steps up military spending, the Belarusian leadership wants to get its share. Minsk knows that the Kremlin is in greater need of the Belarusian army than Belarus itself. In previous years, Belarus received indirect support for its military from Russia through generous oil subsidies that could be recycled into defence spending. But now that Russian subsidies have been reduced, Russia needs to find other ways to keep the Belarusian army afloat. Belarusian and Russian officials like to compare such financial aid to the Belarusian army with US aid to Israeli and Egyptian militaries. Close military relations with Russia are not indicative of Lukashenka's goodwill toward his eastern neighbour. As in other spheres, Lukashenka is pursuing an opportunistic policy that makes the best of Belarus's vulnerabilities. According to Dzyanis Melyantsou of the Belarusian Institute for Strategic Studies, Lukashenka has also gradually developed military ties with NATO. As one might expect, the Belarusian media has downplayed this cooperation with the West. While state officials like to make much fuss about military links with countries as far afield as China, they have kept silent on the cooperation with NATO. Relations have always been very practical, with minimal legal frameworks and few ceremonies. But NATO has increasingly developed links with the Belarusian military. Under NATO's “Partnership for Peace”, Belarus has reduced arms. In 2004, Minsk joined NATO's Planning and Review Process, effectively requiring the Belarusian military to meet NATO standards in preparation for joint operations. The following year, Belarusian soldiers began to take part regularly in NATO exercises. Belarus has yet to sign an agreement with NATO on sharing classified information, and it prevents Belarus from participation in some programmes. But the two sides were already cooperating in 24 different thematic areas in 2010-2011. In 2006, the government set a goal of adopting NATO weapons standards. In the past couple of years, Minsk has allowed NATO to transport cargo for its troops in Afghanistan through Belarus. As a result of this hedging strategy, the Belarusian military may now compare its equipment, working conditions, and salaries not only to Russia, but also to NATO. It is too early to say whether Belarus is a reliable NATO partner – its army depends on Russia for equipment, spare parts, and training. But the engagement is evident – if Belarus democratises, current efforts will expedite the transformation of armed forces in accordance with the role that an army usually plays in a European nation. Unlike the security agencies or police, the army itself is not Lukashenka's best ally. The government values security agencies and the internal troops under the Internal Ministry because they are necessary to keep a grip on power. But its distrust of the army means that it never uses army units to crush protests. The army is unlikely to play a role in a political transition and it has never done so. But its personnel are an untapped source of support for change.